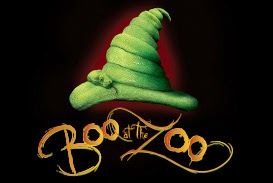 A friend of mine has been playing with her band at Boo At The Zoo for a few years and tells me it is awesome. We haven't been able to attend but my friends who have been tell me it is a blast. If you have never been there is still time to have some Thrills and Chills at The Bronx Zoo. It's a New York Tradition!!!!! · Special Halloween Day Celebration (Oct. 31) – First-ever weekday Bronx Zoo Halloween Celebration, offering a safe, family-friendly array of activities. · Penguins of Madagascar – Nov. 1-2, 12:30, 2:45, 3:30 p.m.
· Amazing 3-D Haunted House pumpkin carving grand finale — 3 day carve with 3 sculptors using a 600 lb. pumpkin! Hope to go soon! My kids would love it.